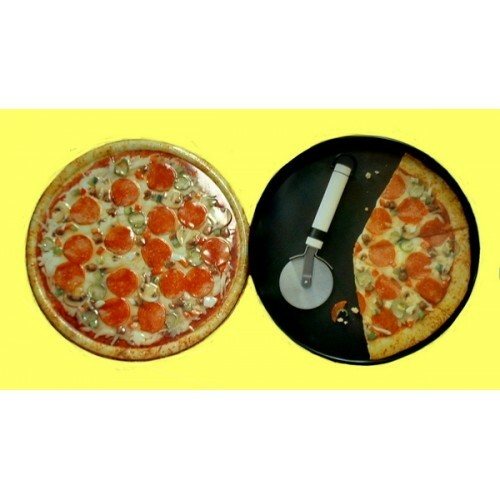 Great Gift for Paper Boy, Babysitter, Teen Birthday, College Student, etc!! !--attach a coupon for a Pizza and it's an even better gift!! 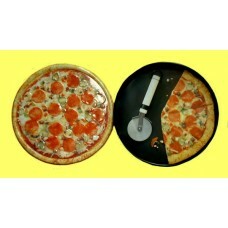 Top of lid shows a pizza and the inside of the tin shows cut pizza w/pizza cutter!14.5" Round x 1.75" Deep. NAME INCLUDED!